Here at Ruspak we are all about relationships. The relationships we have with our customers, vendors and employees are the reason for our success since 1959. Our customers rely on us as their co-packing partner because we ensure that their product is packaged to their complete satisfaction, meets their timeline and their budget. Our staff goes the extra mile to make sure your packaging meets your exact requirements. If we can’t source the components, we will design and manufacture them right in our own facility. 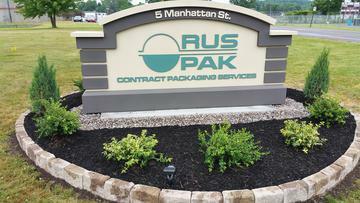 This is part of our turnkey service in which we handle the complete packaging process from design through delivery. If you prefer, we are also equipped to work with components you supply. And, we consult with you on every in-process decision to be sure you get the results you want. Many of the projects we do require specific governmental registrations. The U.S. Food & Drug Administration (FDA) and Drug Enforcement Agency (DEA) have Ruspak registered for schedule 3 and 4 products, and List 1. We are also licensed by the stringent New York State Board of Pharmacy. Our cGMP trained staff follows a comprehensive set of standard operating procedures to ensure the quality of each package.